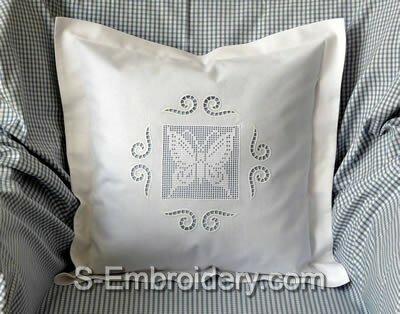 This set includes 2 machine embroidery designs: a freestanding lace crochet butterfly square and a cutwork lace ornament. 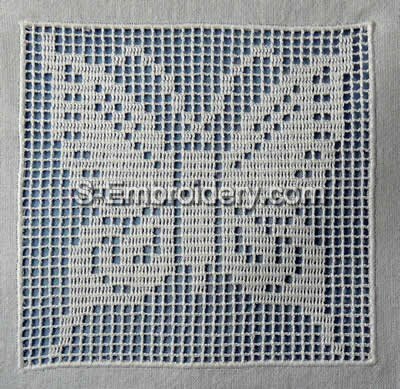 The designs will make fine decoration for pillow case, tablecloth, etc. The set comes with instructions in PDF format for decorating a pillow case like the one, featured on our web site.